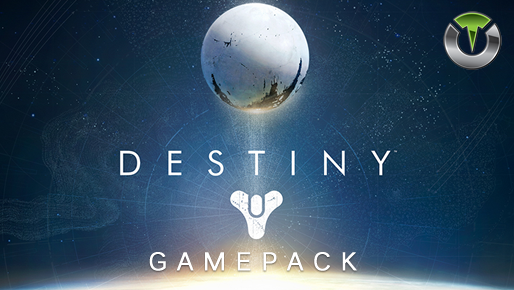 The Destiny Gamepack for Titan One has 42 distinct MODS grouped into 12 classes. When rapid fire is enabled, you can turn virtually any semi automatic weapon into a fully automatic weapon. This creates a very unique advantage for players using semi automatic weapons. While rapid fire will not usually make a fully automatic gun shoot any faster, it can have positive side effects on fully automatic guns such as reducing recoil, helping players conserve ammunition and achieve more headshots. This rapid fire is optimized to be as fast as possible but at the same time ensure that every single shot will be correctly registered by the game. With adjustable rapid fire you can always get the optimum firepower for your favorite weapon. See the menu system instructions above for more information on how to adjust your rapid fire speed in this mode. Pulse rapid fire can reach a faster rate of fire with burst type weapons. Burst firing is designed to turn semi automatic and automatic weapons into burst firing weapons. When this feature is enabled, your weapon will fire in bursts and can be set to 1, 2, 3, 4, 5, or 6 round bursts. Burst firing can help reduce recoil and conserve ammunition. Combining burst fire with adjustable rapid fire will give you automatic burst fire. This will allow you to select how many rounds are fired per burst and the amount of time between bursts for a truly customizable experience. Fire mode determines an assist action to be used together with rapid fire and/or burst fire. These are normally applied to the triggers. The scope (ADS) disables rapid fire and burst fire. The scope (ADS) enables rapid fire and bust fire. Rapid fire and burst fire will only be activated by fully pressing the fire button. If secondary rapid fire is enabled it will take place when the regular rapid fire is not actuating. For example if your regular rapid fire is only active when scoping then the secondary rapid fire will be activated when you are not using scope. This behavior can be very handy to set a precise rate of fire while aiming and a more aggressive rate of fire while hipfiring. This secondary rapid fire is optimized to be as fast as possible but at the same time ensure that every single shot will be correctly registered by the game. With adjustable secondary rapid fire you can always get the optimum firepower for your favorite weapon. See the menu system instructions above for more information on how to adjust your rapid fire speed in this mode. Pulse secondary rapid fire can reach a faster rate of fire with burst type weapons. This MOD compensate for vertical recoil while firing a weapon by automatic moving the control stick in the opposite direction of the one your gun is moving while firing. The adjustable parameter sets how much the compensation should be. See the menu system instructions above for more information on how to adjust the compensation in this mode. Anti-Recoil is activated while firing. Anti-Recoil is activated while firing and aiming. Anti-Recoil is activated while firing and NOT aiming. Anti-Recoil with inverted Y-Axis is activated while firing. Anti-Recoil with inverted Y-Axis is activated while firing and aiming. Anti-Recoil with inverted Y-Axis is activated while firing and NOT aiming. Assign an action to be performed automatically when you press the fire button. When you pull the fire button, your character will drop to prone position and begin firing. This is useful for players that like to maintain stealth and reduce their target profile. This also assists in increasing accuracy in combat. This action is not performed if the scope (ADS) is in use. This performs the same action as drop shot but is only activated when you FULLY press the fire button. When you press the fire button your character will immediately jump and begin firing. This action is not performed if the scope (ADS) is in use. Performs the same action as jump shot but is only activated when you FULLY press the fire button. When you press the fire button, your character will begin to make side movements and begin firing, confusing the enemy in the process. This action is not performed if the scope (ADS) is in use. Performs the same action as side shot but is only activated when you FULLY press the fire button. When you pull the fire button, your character will automatically use the scope (ADS). This is useful for single shot weapons, decreasing the spread effect and increasing accuracy in combat. This action is not performed if the scope (ADS) is in use. This MOD allows the player to automatically jump repeatedly in order to move faster, instead of just running. Moving in a zigzag pattern while bunny hopping is the fastest way to move around, making the player an even more difficult target. Press and hold the JUMP button to start bunny hopping. You can also lock the Bunny Hop MOD by pressing the SPRINT button once, this allows you to not have to hold the JUMP button and freely maneuver both thumbsticks, to stop bunny hopping release the movement sticker. If you are tired of constantly pressing the left thumbstick to make your character sprint, Easy Sprint is just what you have been looking for. Your character will sprint at the same time you begin to move him forward. Your character will sprint if the thumbstick is FULL pressed forward. The character will walk regular speed if the thumbstick is only slightly pressed forward. Sometimes is need press the 'Melee' button repetitively. This MOD automate this task by assign a turbo mode to the 'Melee' button. This unique feature allows you to setup special remapping to best adjust the controller to your personal taste. Swap the bumper and triggers to convert your controller to Xbox 360 to PS3 style or vice versa. Swap the analog thumbsticks. For left handed gamers. Most users play Destiny using the default button layout but a lot of players do use optional button layout. With the Button Layouts you can make any of the MODS on the Titan One work with your favorite button layout. With accelerometer aim assist, you can use the DS4 (or PS3) controller to aim while scoping. This means you can move the controller to adjust the target position when scoped in. This MOD will not affect aiming with the right stick. It will only add an additional option to aim with. Each of the modes will add sensitivity with mode 1 being the least sensitive and mode 5 being the most sensitive. The Destiny Gamepack allows you choose and combine one MOD from each Class, being possible to have a total of 12 active MODS at the SAME TIME. This means you can make combinations such Burst Fire added to Rapid Fire, resulting in an exclusive "Automatic Burst Fire" MOD. The Automatic Burst Fire can be optimized by adjusting the number of bullets fired per burst as well as the time between bursts. For additional optimization, you can add the "Scope Enable" MOD, which will make the Automatic Burst Fire be activated only when the ADS scope is in use.